An air-conditioning technician is accused of the attempted murder of a Belize City man on Sunday. Thirty-eight-year-old Tyrone Stevens remains in the Karl Heusner Memorial Hospital, but he has identified his attacker as twenty-year-old Eric Mendez from the Jane Usher Boulevard area. Mendez was read charges of attempted murder, grievous harm and use of deadly means of harm before Chief Magistrate Sharon Frazer. Stevens was buying from a store when he was shot from behind by a Hispanic man on a bicycle. 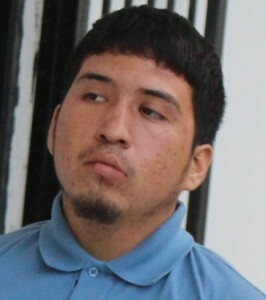 From his hospital bed he gave police his statement, indicating that he saw Mendez as he was shot and later identified him via a photo array after Mendez refused to participate in an identification parade. There is also said to be surveillance video of the area around the time of the shooting. The Chief Magistrate denied bail and remanded Mendez to the Belize Central Prison until July twenty-sixth, 2018.